Guaranteed Equipment Sizing! Now, That’s Real Comfort! There is no good time to waste money, especially during these turbulent economic times. Since proper equipment sizing is critical to comfort and energy usage, Simpson Heating & Air guarantees their equipment sizing to be 100% correct, or its replacement is free. There are so many things that affect proper equipment sizing, even the direction of your home can help or hinder its comfort in the summer and be just the opposite in the winter. All comfort equipment has limits including air cleaners and humidifiers; Simpson also properly sizes these items. 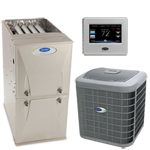 Simpson Heating & Air LLC is known by the community for helping the home or business owner make the best choices when it comes to interior space comfort and air quality by offering items specific to each individuals needs. That’s why so many people call Simpson Heating & Air LLC, for Air cleaning, Air purification, Heating, Cooling, Air Transfer to specific areas (known as Zoning), Geothermal, and any other interior comfort item that may be needed to properly condition the interior space of your home or business. An established contractor, with outstanding buying power, Simpson Heating and Cooling LLC can give you the very best at competitive pricing. 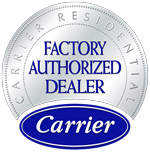 Call 330-339-1177, for not only a free estimate, but one that comes with guaranteed equipment sizing. Simpson, here for you today, here for you tomorrow!